The Samsung Galaxy Note 9 is due to be officially unveiled in New York today at 4pm BST (11am EDT). Most of the new phone's features have been leaked already but there may still be a surprise or two, which you'll be able to watch on the Samsung Galaxy Unpacked live stream. What won't be a surprise, because it just leaked again, is the new S Pen. We previously reported on FCC documents which outlined new capabilities of the A S Pen, which have been enabled by giving the stylus Bluetooth connectivity. Now, slides from Samsung's official Note 9 marketing material have been obtained by Winfuture.de and they provide more details of just what you'll be able to do with the upgraded stylus, which Samsung is promoting with the line "Now with intelligence for ultimate control". By "ultimate control" Samsung means that you'll be able to use the button on the top of the stylus as a remote. OK, so that's a slightly different definition of ultimate than we would use, but the S Pen will give users a new way to control their handset. According to the marketing material: "The all new S Pen now boasts powerful Bluetooth technology, letting you press a button to take control of your camera, presentations, and apps without touching your phone." So you could use it to take long-range group selfies, start and stop music that's playing on your phone and advance through slides while your colleagues gaze in awe at the cool transitions you've chosen for your presentation. It's a neat upgrade to the S Pen and one we can see appealing to owners, especially if app makers come up with interesting ways that that the S Pen could control their apps. 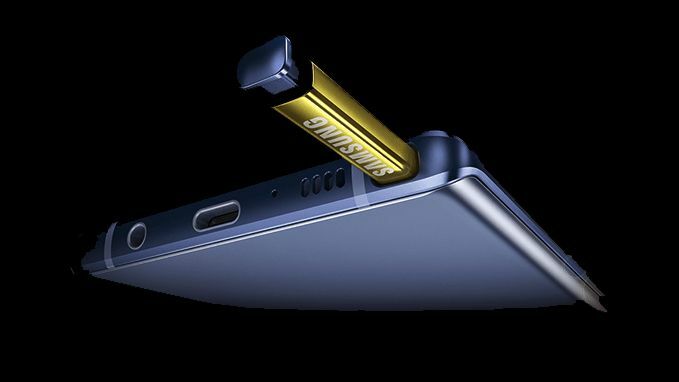 Do tune into the Note 9 launch live feed at 4pm UK time today where no doubt Samsung will be keen to show off the S Pen's upgraded smarts.